The trend of destination weddings is at an all-time high. 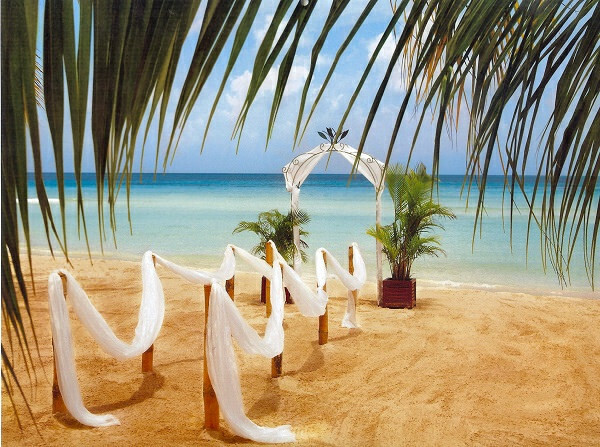 Destination weddings are being considered and executed by many couples all over the world! Destination weddings can be quite cost-effective, and who would not want to be wedded at an unforgettable and exotic location? Wedding ceremonies are a beautiful affair in themselves, but being in a picture-perfect land where you can enjoy that experience of getting married and nothing else is also what is attractive about destination weddings. However, planning a wedding, in general, is extremely intimidating, let alone miles and miles away from home! But, no need to stress, as here is all that you need to know about planning the perfect destination wedding! You and your partner can choose a destination that you hold dear to your heart and have been to multiple times before, as most couples do. Or you can choose a completely different destination that you have always envisioned your wedding to be at! There are endless opportunities, but you should definitely keep in mind the budget you are allocating for the wedding, the distance and the weather. You should also keep in mind whether or not the wedding officiant you want to hire can travel out to the destination or not. You will need to invite your guests many many months in advance so they can make the necessary preparations in order to make it to your wedding. At least three months prior to the big day would work the best. The best part about destination weddings is that you can substantially limit your guest limit, which in turn also saves on costs! If you are planning on hiring a wedding officiant from Oklahoma City for your destination wedding, you will have to make sure to tell them even more in advance so that they can be available to solemnize your marriage ceremony at the destination of your choice! Having to ship out your wedding attire depends on your budget and the apparel that you choose. If you are opting for an extremely casual wedding look, then you can get away with safely taking your outfit with you or even buy one at the location if you are feeling particularly bold. However, if you have chosen a heavy and delicate wedding dress or suit that you want to get shipped to the location, you will have to follow the regulations regarding shipping for the country you have chosen, and whether or not there are any troublesome restrictions or heavy charges that you will have to work around. You also have to keep in mind that you will need to get your dress back with you. Airplanes allow you to take your wedding outfit with you, but to keep it in shape you will have to book an entire seat. So, of course you will also need to hire vendors, decorators, DJs and many other service providers for the wedding, who operate in the destination you have chosen. Luckily, you can choose an open-minded wedding officiant from Oklahoma who will fly out with you to officiate your lovely bond. However, you will have to keep in mind that the wedding officiant from OKC that you hire may need you to pay for all their travel expenses. So, stop wasting time and get to work so you can make your dream destination wedding a reality!